Entire town of Paradise evacuated due to fast-moving wildfire in northern California. Tens of thousands of people were forced to evacuate their homes on Thursday due to a fast-moving wildfire in northern California, dubbed the Camp Fire by local officials, The Hill reports. 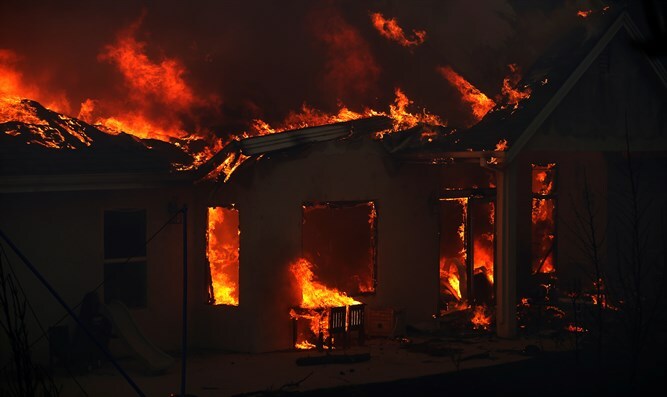 The fire prompted the evacuation of the entire town of Paradise, as well as Magalia, Concow, Butte Creek Canyon and Butte Valley, according to the state's wildfire agency Cal Fire. Paradise, a town of roughly 27,000, is known locally as a popular retirement community. Butte County's sheriff told The Associated Press that the situation was "very dangerous and very serious". "It's a very dangerous and very serious situation," Sheriff Kory Honea said, adding, "I'm driving through fire as we speak. We're doing everything we can to get people out of the affected areas." "We're working very hard to get people out. The message I want to get out is if you can evacuate, you need to evacuate," Honea added. A spokesman for Cal Fire told ABC News that dry conditions and winds in the state were exacerbating wildfire-prone conditions, and making it difficult for firefighters to battle the blaze. At least two firefighters were reportedly injured Thursday fighting the fire, but official injury reports were not yet available. Huge wildfires also raged in California this past summer, forcing some 40,000 Californians to be evacuated from their homes. A series of forest fires in northern California last year killed more than 40 people, destroyed thousands of buildings and ravaged hundreds of thousands of acres.